U.S. forces use refugees living in the Rukban camp in southeast Syria as a human shield, the Russian Defense Ministry has said. “Rukban refugees are de facto hostages, effectively a ‘human shield’ for the US base. Think about it, other than by Americans such ‘protection’ barriers are used in Syria only by those who they came here to fight, the terrorists,” Major General Igor Konashenkov said in a statement on Friday. Konashenkov added that 60,000 women and children who fled Raqqa and Deir Ezzor currently live in the camp. The spokesman also blamed the United States for preventing humanitarian aid to the area from Syria, Jordan and the United Nations. The Russian general added that the US base protected by the “human shield” has turned into a “black hole” on the Syrian-Jordanian border from which ISIS mobile groups conduct raids against Syrian government forces. 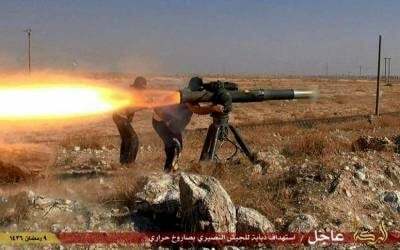 “The Pentagon’s representatives have repeatedly stated that instructors from the US, the UK and Norway staying there under the cover of tactical aviation and multiple-launch rocket systems are training New Syrian Army militants. However, in actual fact, al-Tanf has turned into a 100-kilometer ‘black hole’ on the Syrian-Jordanian state border. Instead of the New Syrian Army, mobile ISIL [ISIS] groups, like a jack in the box, carry out sabotage and terrorist attacks against Syrian troops and civilians from there,” Konashenkov said. The spokesman said that the illegal establishment of the base there was publicly justified “by the need to conduct operations against ISIL [ISIS].” However, no information have been received about any US-led operations against ISIS during the six months of the base existence. Earlier this week, the Russian Defense Ministry said that 300 ISIS members that had seized the city of Al-Qaryatayn deep inside the government-held area came from the Rukban area.